Looking for a UK supplier of t-shirt printing? You've come to the right place. Order your personalised printed t-shirts online today with ease, FREE UK DELIVERY on orders over £50, and no minimum quantity on all orders. MPC are the leaders in customised printed t shirts with the highest quality in-house techniques: Vinyl Printing, Screen T Shirt Printing, Transfer Photo Printing. We will choose the technique that best suits your tee shirts: Logo, Design, Text, Photo etc. Make your own tee shirts using our online designer, choose your colour, sizes, ideal for corporate, schools, promotional, workwear t-shirts. We are the UK's printed t shirt specialists, which is why we only offer t-shirts manufactured by the most noteworthy brands in the industry such as Fruit of the Loom, Gildan, American Apparel, Anvil, Russell and AWDis to name a few! Check out our standard/unisex t-shirts, printed ladies t shirts, kids tee shirts, long sleeve t-shirts, baseball t-shirts, v neck tee shirts, all of which can be customised using our simple online designer! 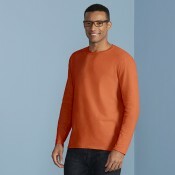 Crew neck with cotton/Lycra® ribSelf-fabric back neck tapeFine knit gauge for enhanced printabilityF.. Crew neck with cotton/Lycra® ribSelf-fabric back neck tapeFine knit gauge for enhanced printabi..
Knit trim on neck and armholeSide seam construction with fitted silhouettePre-shrunk Jersey knitFabr..
Gildan gives its classic ladies tee the premium treatment.The Gildan Women's Premium Cotton T-Shirt ..
Fruit of the Loom's classic tee with a soft spin.Manufactured using Fruit of the Loom's innovative&n..
B&C's hallmark t-shirt, designed in a cut just for men!The B&C Men Only t-shirt is made from.. Thin crew neck collar in self-fabricBottom and sleeve hems with double topstitchingSide seamsFabric:..
Rib crew neck with self-fabric back neck tape. Fine knit gauge for enhanced printability.Fabric:100%.. 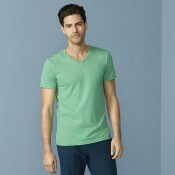 The classic Fruit of the Loom tee with contrast detailing.The Fruit of the Loom Ringer Tee is cut in..
Tough, durable and comfortable - the Gildan Heavy Cotton tee is an industry classic that's ready to ..